Our Cycling Southland junior trio of Nick Kergozou, Libby Bayne and Anton O'Connell retuned from Wagga Wagga this week with some fine results and a mass of experience after their racing trip. The weather was looking a little ominous on Saturday morning, but right on cue, the Catlins turned on a pearler and we set the front markers of the 66km Niagara Falls Café Handicap race off into the sunshine and calm and relatively balmy temperatures. Eddie Dawkins was out mowing the lawns when he found out he was an Olympian; Natasha Hansen was a bundle of nerves wondering whether she'd done enough. Few people would have marked a young Eddie Dawkins down as a future Olympian during his early days at Kew Bowl writes The Southland Times' Nathan Burdon. 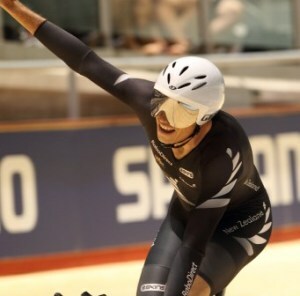 New Zealand has named its biggest and possibly strongest track cycling team ever for the London Olympic Games including two Southlander sprinters, Eddie Dawkins and Natasha Hansen. Mike and Tania White are again participating in a very worthwhile fundraising exercise taking place on Saturday 26 May 2012. Find out about their exciting trip for a great cause. A weekend of beautiful weather made for some awesome racing over the weekend! We had a big old weekend of it with the Southland Time Trial Champs on Saturday and the Southport Bluff Hill Climb and Criterium (the last in our Summer Criterium Series) on Sunday. Perfect conditions greeted riders for the 2012 Time Trial Championships at Braxholme on Saturday. 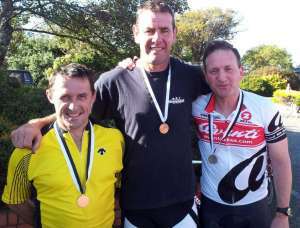 Southland titles were handed out in 13 grades with only seconds separating a number of riders of their 10, 20 or 40 kilometre distances. 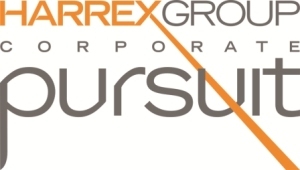 Planning for the 2012 Harrex Corporate Pursuit is well underway and now we need your help to make this event another great success. If you keen to offer some of your time as either a team coach or event volunteer, we would love to hear from you now. Join us for a celebratory dinner and prizegiving to mark another successful cycling season in the Deep South! All details about this weekend's three race events is out now. An ambitious eight day nationwide cycling event that starts from both ends of New Zealand kicks off tomorrow morning. Our very own Cycling Southland Coaching Facilitator Matt Archibald performed outstandingly against some fierce competition during his first outing at the World Track Championships. 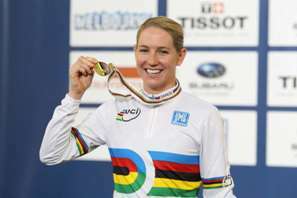 Alison Shanks celebrated her second rainbow jersey with an emphatic victory in the individual pursuit to seal New Zealand’s most successful ever world track cycling championships. I have the privilege of penning this column from the centre of the track at Hisense Arena on the final day of the 2012 Track World Championships writes Chief Executive Nick Jeffrey. Cycling Southland’s Cameron Karwowski was the best of the BikeNZ-Pure Black Racing team with a top-25 finish in the prestigious UCI Nations Cup Under-23 Tour of Flanders today. Alison Shanks will ride off for the gold medal on the final night of the UCI Track Cycling World Championships in Melbourne. And so it ends. Five days of incredible competition, endless conversations with teams event organisers, volunteers and officials drew to a close today at Melbourne's Hisense Arena. This week has provided a huge amount of information and ideas which we can utilise immediately for our upcoming hosting of Junior Worlds, but also further develop across all of the events we at Cycling Southland deliver during the year. Hawkes Bay rider Westley Gough had the weight of a nation on his shoulders to stop an Australian clean sweep in the individual pursuit at the UCI Track Cycling World Championships in Melbourne tonight. 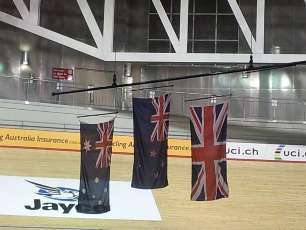 Hawkes Bay rider Westley Gough will ride off for the bronze medal in the individual pursuit on the fourth night of finals at the UCI Track Cycling World Championships in Melbourne.